Nike has labeled the store concept "incredibly successful" in past quarters and has already added elements of it to two separate flagships. 2018 didn't exactly start off as Nike's year. In the spring, the athletics retailer suffered through a tumultuous period punctuated by a mass exodus of top executives, including the Nike brand president, the vice president of footwear and several others. While the company took measures to try and correct for the behavior, including an apology from CEO Mark Parker, the promotion of several women and salary raises, troubles surrounding the brand's corporate culture continued. Claims of sexual harassment soon followed, in the form of a class action lawsuit filed against Nike over the summer, saying female employees were "devalued and demeaned." The retailer has since moved to dismiss multiple of the main claims in court. The upheaval at Nike's corporate offices (not to mention the controversial Colin Kaepernick ad launched later in the year) raised questions about the retailer's brand, and how well it would hold up with customers that have become ever more interested in social issues. Nevertheless, 2018 has been a big year for Nike, and the debut of its first Nike Live store, Nike by Melrose, is a large part of that. There have been a lot of interesting and innovative store concepts announced in 2018 — many of the most daring opening in New York, retail's test bed for experiential shopping. But the Nike Live concept has the potential to change how consumers not only shop for athleticwear, but also how they shop for everything else. The store features a vending machine, a sneaker bar and other mobile-reliant features. 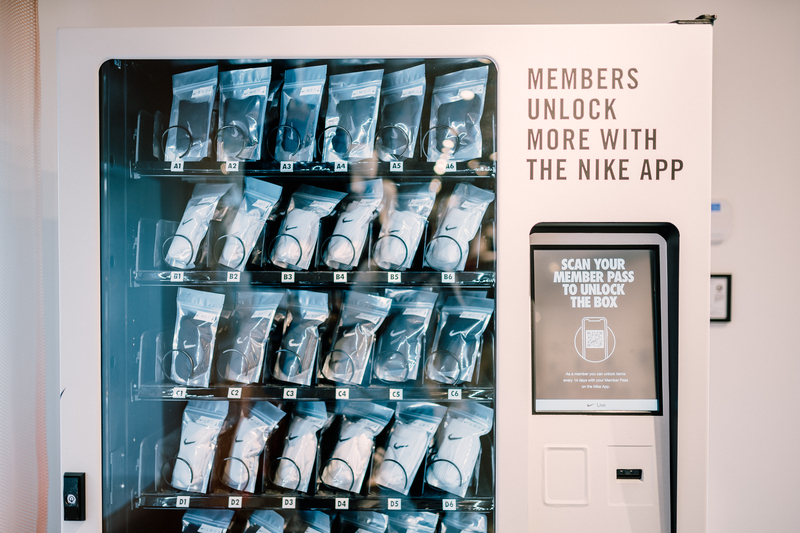 The experiential store is exclusive to members of the NikePlus loyalty program and caters to the local tastes of whatever location it's in, allowing the company to make loyal members happy while also giving not-yet-members a good reason to join. That in and of itself is a unique concept. Loyalty members have always had perks, including different shopping experiences like Sephora's members-only social platform, but catering a data-driven store to loyalty members in a specific geography is a new spin on the type of rewards customers can expect from their favorite stores. "The approach of Nike Live really is putting Nike in your neighborhood." Being member-focused and hyper-localized aren't the only things that push the Nike Live store to a different level. 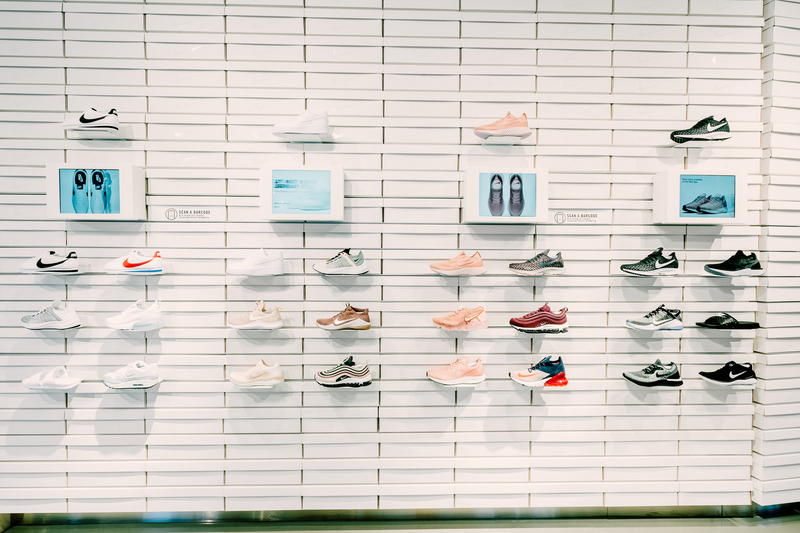 The retailer's mobile app sits at the center of the concept and deals with everything from reserving products to loyalty points and product information, not to mention serving as a useful resource for Nike to collect customer data and refine its approach. Several of the features from Nike Live, especially the mobile-centricity of the store, were carried over to the retailer's most recent flagships, in Shanghai and on New York's Fifth Avenue. A section called the Speedshop in the New York flagship is based almost entirely off of the concept, and features a curated selection of content targeted at New York shoppers looking to get in and out of the store fast. This localized, neighborhood feel (with 25% of the product rotating every two weeks) is one of the defining features of the Nike by Melrose store, as well as any future Nike Live stores, Cathy Sparks, global vice president and general manager of Nike Direct stores, told Retail Dive in November. A sneaker wall in the store features product information. Merchandise rotates every two weeks. "The approach of Nike Live really is putting Nike in your neighborhood and having Nike be a part of the community, help build community, help increase sport and activity and help our members achieve their potential," Sparks said in an interview, "and we know that type of daily engagement happens in neighborhoods, near people's homes. " So far, it seems to be resonating with customers. In September, Parker said the concept had been "incredibly successful" in its first quarter, and Sparks noted that another Nike Live store is underway in Tokyo, with more on the radar in years to come. "We will expand – we are bullish and highly confident on the concept," Sparks said, noting that the company is looking at both international and U.S. locations. The plan, at least for now, is to offer a similar experience, with room to improve off of the Melrose store. 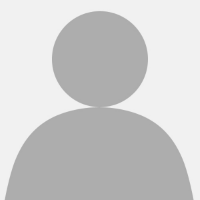 "They will have the same overarching strategy in that they will be member-led, data-informed and drive a very strong connection between digital and physical," Sparks said. "We have been open for almost four months and are really running a robust process of testing and learning and innovating." While it's not clear yet just how far Nike plans to go with Nike Live — including if the concept will become as fundamental to the brand as last year's Store Concept of the Year Sephora Studio and the Beauty TIP workshops are to Sephora. The concept certainly made a splash this year, and plans for its expansion indicate it's not going away anytime soon.